Bridging the gap between the GTX 1050 and GTX 1060, the Ti we’ve looked at today is perhaps the ideal graphics card for gamers who are seeking to engage in 1080p gaming with high detail preset enabled. Between the GTX 1050 and RX 460, the 1050 is the obvious choice for better overall performance and this Ti variant only fortifies this point. The 60 FPS sweetspot is easily achievable via today’s ZOTAC GTX 1050 Ti OC Edition, in some cases even exceeding 70 FPS. As far as cooling is concerned, the heatsink and cooling fans ZOTAC has used do a great job in keeping things under control. Though, in the MINI series of the 1050, we prefer a single fan – it achieves great thermals and yet emits less noise. We managed to modify the GPU and memory clock speeds beyond the 8% which ZOTAC applied to the GPU clock straight out of the factory, hitting an impressive 13% increase. Nudging both attributes yields a boost in performance – which in turn translates to some extra frames in the gaming arena. The size and power requirements for the GTX 1050 Ti OC Edition make it the perfect candidate for an aging computer system or for the casual gamer who requires a boost to performance without having to upgrade key components such as the PSU. Not only does this card run without the need to connect up cables from the PSU, but it also squeezes into the smallest of computer cases due to the small physical dimensions. This footprint will cause such a card to be an attractive proposition for system builders using small form factors like Mini-ITX or Micro-ATX. This Ti variant of GTX 1050 with its factory overclock comes in at a cost of £160 GBP / $150 USD. This is quite a bit more than the standard GTX 1050 but we do have superior onboard specifications and the results on the previous pages speak volumes for the improved gaming performance. 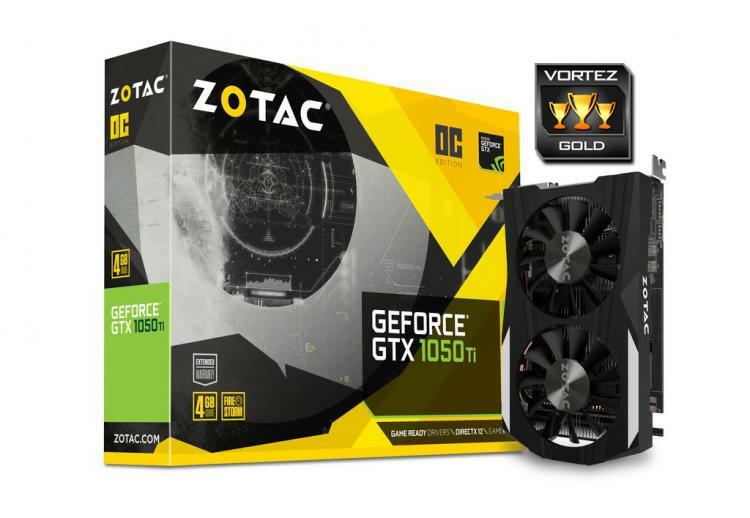 However, if you do have a tight budget which doesn’t allow for a Ti purchase, manually overclocking the something like the ZOTAC GTX 1050 MINI will be a cheaper route and could present some similar figures in-game.